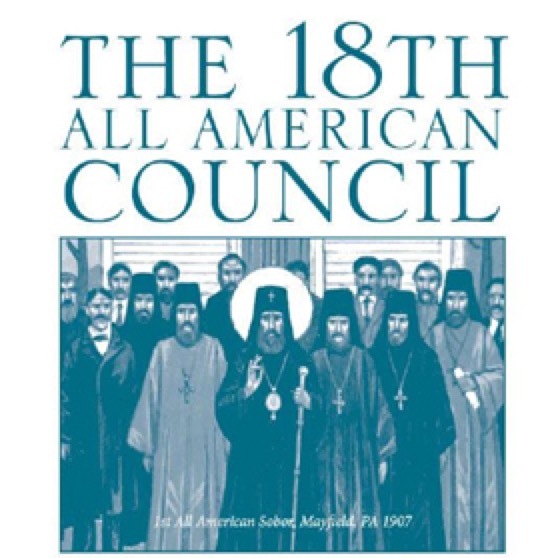 The 18th All-American Council of the Orthodox Church in America is being held in Atlanta, July 20-24, 2015. Ancient Faith Radio, in partnership with the OCA, is happy to bring you recordings of all six plenary sessions. Opening Prayer, Installation of Council, Diocesan Reports, Monastery Report, Seminary Report, Youth Presentation, Other Business, Open Discussion, Final Resolutions, and Closing Molieben. Opening Prayer, Elections, Diocesan Reports, Mission School Report, Assembly Report, Krindatch Presentation, Election Results, and Resolutions. Opening Prayer, Diocesan Reports, Strategic Plan Report, External Affairs Report, Military Chaplain Report, Institutional Chaplain Report, Departments Report, and Resolutions. Diocesan Reports, Treasurer's Report, Auditor's Report, Pension Board Report, Finance Resolution, and Resolutions. Opening prayer, Diocesan Reports, Metropolitan Council Report, Proposed Revised Statute Presentation, Nominations Procedures, and Resolutions. Opening Molieben, Call to Order, Welcome, PCC Bishop Welcome, Local Committee Welcome, Metropolitan's Address, Chancellor/Secretary Reports, and Questions. His Beatitude, Metropolitan Tikhon, challenges the assembly to join him “in this ascetical journey to discern and develop our apostolic calling here in North America, through prayer, repentance, and common work for the glory of God."